When Dani Cameranesi walks through the halls at Blake, many of her classmates don't realize she has siblings. When she is recording multi-goal games, her big brother often isn't in the stands – he's across town at Wayzata, starring on his own hockey squad. But in some ways, going to different high schools has brought sophomore Dani and senior Tony Cameranesi closer together. They both play for highly respected programs, which allows each of them to continue to pursue hockey as the most important aspect of their lives. And it's that intense appetite for, and penchant to improve at their sport that has braided an even tighter bond between the siblings. "I think it has basically shaped our relationship since we both have the same passion," said Dani, who also has an older sister, who is a dancer. "I feel like if we didn't have that, we probably wouldn't be as close as we are today." The brother and sister's love for hockey started as young kids. Growing up in Plymouth, they played almost every sport – their father wasn't particularly into hockey until they "swayed him" years later – but Dani and Tony were both drawn to hockey. They both played in the Wayzata system (Dani with the boys) until after her seventh-grade year, when she faced the decision of remaining in a rank she had outgrown or trying to play varsity hockey. Wayzata didn't allow eighth-graders to play varsity at the time, a rule that has since changed. "I think she knew she could play at the varsity level," said her current coach, Brano Stankovsky. "She's got great strength for her size, and her skating ability really stands out." She landed at Blake, a private school now ranked No. 2 in Class 1A, while Tony prospered at Wayzata, No. 1 in Class 2A. But even though their conflicting schedules might not afford them as much time to play pond hockey and shoot pucks in the basement together, their relationship has only grown, they said. On nights when both aren't either practicing or playing, they will sit and talk about their previous games while watching the Red Wings, their favorite NHL team, on TV. "I guess you could say it's our thing," Tony said. "We talk about hockey a lot." Sometimes Dani will point out things she notices about Tony's game _ like that she thinks he should shoot more, rather than passing the puck – but often it's the big brother passing on advice to Dani. "Most of what I have learned, I feel is through him," she said. "He still tells me things to work on, and if he ever comes to games, he'll tell me things like 'Keep moving your feet; don't be an orange cone!' "
And while they don't play in the same system anymore, their congruent background shows. 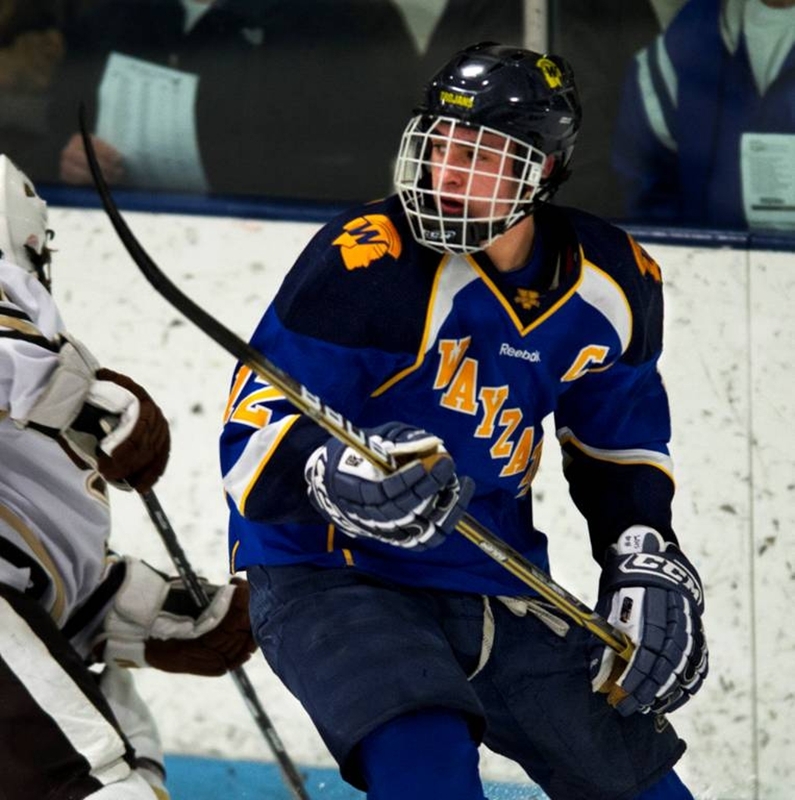 "There are a lot of similarities in their games," Wayzata boys coach Carl Davis said. "They're both really strong offensive players; he's a big goal-scorer and playmaker for us, and I know she does the same for her team." Both coaches describe the players as incredibly fast, adept skaters as well. And in some regards, their similarities have led to the competitive spirit – they play HORSE in the basement and stage ongoing competitions to see who can get more points in a season – that gives them so much to talk about. "I do think about what it would be like having him at my school," said Dani, who was winning the points battle 20-19 heading into Thursday night's action. "But you know, he doesn't have to be there to give me the support I need." Nate Warner and Jack Smith led the Crusaders offense, combining for 10 points as the Crusaders beat the Spartans 9-6.